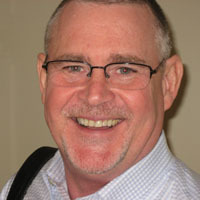 CHRIS M. CROWE, Ph.D. is a cognitive behavioral psychologist offering evidence based treatments. His clinical interests include cognitive behavioral treatment of the mood disorders and anxiety disorders. His clinical and research interests include exposure therapies, the use of virtual reality in the treatment of anxiety disorders, comorbid PTSD and traumatic brain injury, and the role anxiety sensitivity may play in the development and maintenance of anxiety disorders. Copyright 2015 Morningside Psychology. All rights reserved.